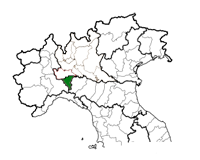 CASARINIVINI, winery of Oltrepò Pavese, famous wine producing area, is situated in Codevilla along the way that from Pavia brings to Salice Terme and Penice’s passage, surrounded by beautiful hills covered with vineyards. 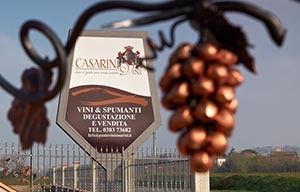 The Casarinivini winery was founded by Stefano Casarini, who after years of working in the vineyards and in wine vault, decided to put into practice the knowledge gained by undertaking an ambitious project: understand the great potential of the grapes of the Oltrepò Pavese creating quality wines, far from mode and respectful of the territory of origin. Today the company manufactures and sells about 400.000 liters of wine all year long, relies on modern technologies that allow obtaining high quality wines, while respecting the rules of tradition. The production of white, red and roses wines is distributed in bottles, magnums and carboys. The Casarinivini winery of Oltrepò Pavese care directly the management of their own customers: restaurants, bar, pizzerias, small grocery store and in particular private consumers, through direct contact with the customer there is always a qualified reference point capable of dispelling any doubts or curiosities; the company, by choice, has never wanted to enter their wines in large distribution, then you cannot find Casarinivini’s products in supermarkets and discount stores but onli by contacting the company directly.